Police Officer Dorion Young, 46, has been charged with attempted murder and related offenses for the September shooting of his 19-year-old son. A Philadelphia police officer has been charged with attempted murder, accused of shooting his 19-year-old son in September because he thought the teen had disrespected him, District Attorney Seth Williams said Tuesday. It is the first time in at least three years that a Philadelphia police officer has been charged in a shooting. Did off-duty Philly cop shoot his son intentionally? According to the Police Department's website, of the 116 officer-involved shootings since 2013, the District Attorney's Office has declined to prosecute 91 of the cases. The decision is pending in 24. 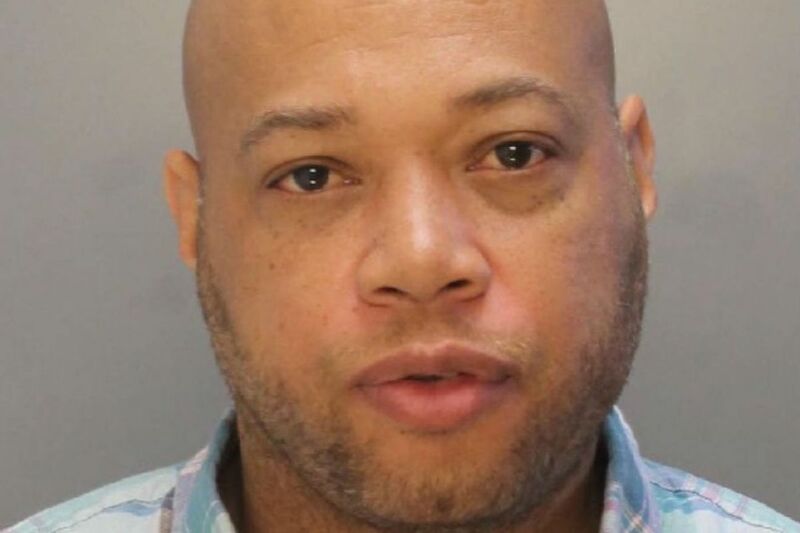 On Sept. 5, Labor Day, Officer Dorion Young, 46, was off duty at his home on the 2700 block of Taunton Street in Northeast Philadelphia with his two sons and his oldest son's girlfriend, prosecutors said. Young, a 25-year veteran of the Police Department, allegedly started an argument with his oldest son, Devine, over "perceived disrespect he felt about the use of the family car," Williams said. As the argument escalated, Young waved his personal .40-caliber pistol and shouted, "You my son, and you aren't going to keep disrespecting me," according to the District Attorney's Office. Young walked away from his son and called 911, but then went back, and broke down his son's bedroom door and began fighting with him, Williams said. The fight moved from the bedroom into the hallway, where Young ended up on his back as his son stepped over him and tried to get away by walking down the stairs, said Tariq El-Shabazz, deputy of the district attorney's investigations division. As the teenager walked down the stairs, his father sat up and, with his legs extended in front of him, fired two shots, El-Shabazz said. One bullet went through Dorion Young's own shoe, narrowly missing his foot. The other struck his son in the back, according to El-Shabazz. The teen was taken to Aria Health-Torresdale Campus, where he initially was listed in critical condition. Prosecutors said Devine Young lost his spleen and a part of his colon in the shooting. He also is "dealing with the psychological injury" of being shot by his own father, El-Shabazz said. "While this is a terrible tragedy, there is no excuse for what happened that day, and Dorion Young will be held responsible for having shot his son," Williams said. El-Shabazz said the evidence showed that an earlier suggestion that the gun had gone off during a tussle over the weapon was impossible. "It's difficult raising a son, I would say that, but it's also better to teach a teachable moment," El-Shabazz said. "And one of the teachable moments is to walk away, calm down, take a deep breath, and then go back and address those matters." Dorion Young turned himself in to the Police Department's Internal Affairs Unit on Tuesday morning. Along with attempted murder, he faces charges of aggravated assault, simple assault, possessing instruments of a crime, and related offenses. He has been suspended from the Police Department for 30 days with the intent to dismiss.